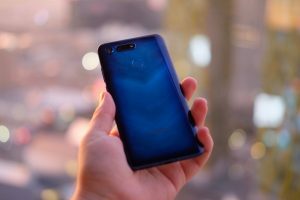 Honor’s latest flagship phone provides a gorgeous glimpse at what some of 2019’s biggest phones, including the Samsung Galaxy S10, might look like. 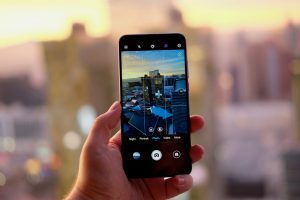 Honor has been churning out excellent phones of late, offering fantastic specs at prices that are more than fair. The View 20, however, isn’t a mid-range option. In fact it shows that Honor can make a pretty special flagship phone too. There’s no UK pricing or release information yet, but it’ll be coming soon. Honor is holding an event in Paris, France on January 22, and we’ll get loads more details on this device then. Officially announced in China earlier in the year, there aren’t any UK release or pricing details yet for the View 20, but I’ve spent an extended period of time with the phone and it’s shaping up to be something rather impressive. There’s a lot going on here and plenty of the View 20’s features are likely to be on many of 2019’s biggest phones. The design choice that’ll catch your eye straight away is the punched out hole where the front-facing 25-megapixel camera sits. This takes the place of a notch and it allows for a phone that looks a whole lot more ‘full-screen’ than anything I have seen before. Honor did try out the slider design with the Magic 2 – here the cameras were hidden behind a sliding body – but this just feels so much slicker as a solution. I have to say I was initially skeptical about this design decision, but after using the phone I changed my mind. 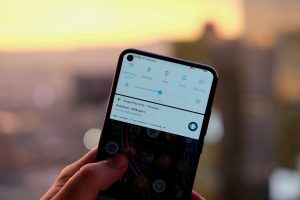 It’s noticeably less intrusive than a more traditional notch., blending out of sight when there’s anything dark on the screen or if you’re watching a video. I almost instantly got used to it. The screen itself measure 6.4-inches, though it feels a whole lot smaller when you hold it. This is a phone with a huge screen that I can actually use with one hand. The Honor View 20 is a lot more than simply a phone that wants to be the first to rock this new design, and there’s lots of other features to get excited about. 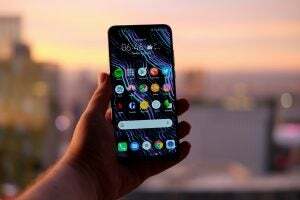 Powering the phone is the same 7nm Kirin 980 SoC you’ll find in the Huawei Mate 20 and Mate Pro and, until we’ve properly used phones featuring the Snapdragon 855, it stands with the iPhone’s A11 Bionic as the fastest chipset on any phone. 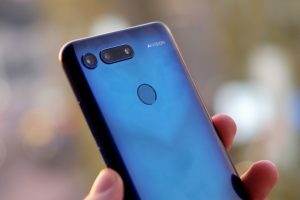 Early impressions of the Honor View 20’s performance are that it’s up there with the best. That chip is paired with 6GB/8GB of RAM – the version I am using has 8GB – and storage options up to 256GB. The battery capacity is impressive too, at 4000mAh. Pair that with the efficient chip and 1080p display and you’ve got a phone that should be good when it comes to endurance. I’ll be able to provide more details on performance and battery life in the full review. What I can say already is that this phone looks absolutely gorgeous and it’s easily the slickest Honor device yet. I’d even say it’s better looking than any of (Honor’s parent company) Huawei’s phones. And this isn’t just because of the eye-catching front. Flip it over and it’s just as unique. Honor’s favourite blue hue is present (there’s a black and a red model too) and the rear also houses a distinctive ‘V’ laser-etched shape that appears to move in the light. There’s no in-display fingerprint tech here, instead you’ll find a more traditional circular pad on the back along with a USB-C port on the bottom. Honor has even found room to keep the 3.5mm headphone jack around, something you probably won’t see on many other 2019 flagships. Also sitting on the back of the View 20 is the new Sony IMX586 48-megapixel camera sensor and a secondary TOF (time of flight) sensor that’s there to help with 3D object recognition. Honor says this 3D sensor can be used for AR gaming and it’ll function in a similar way to Microsoft’s Kinect. I haven’t had enough time yet to judge image quality from that new Sony sensor, but I was impressed with the first batch of snaps I took. By default you’ll shoot 12-megapixel images, with the option of 48-megapixel available in the Settings panel. There’s also a 25-megapixel in-display camera on the front. Other interesting features included here that I’ll need to spend more time using before judgement include an AI-based cooling system, a triple antenna Wi-Fi system and dual-frequency GPS. The Honor View 20 is the first flagship phone of 2019, and it has the potential to already be one of the best. It’s a lovely looking device with a load of exciting features. 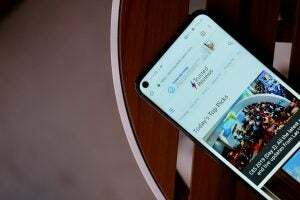 The post Honor View 20 appeared first on Trusted Reviews.